Speaking of my work I can say that: « I bring my inner self into the world ». Choreographer, dancer, performer, Clara has worked with Bruno Meyssat, Régine Chopinot, Olivia Grandville, Thierry Thieu Niang, Phillip Gehmacher, and has lived these experiences with an eager fascination for the body as an object of transformation, mediator to writing, personality, subject and frame. Her interest focuses on the body as something more than a form or symbol, that is beyond time and matter relinquishing the visible for the unknown. She carries out her work through the company Les Décisifs that she founded in 2004 in the region of Champagne Ardenne in France. Clara Cornil builds her work through dialogues with other arts, inviting colleagues to create works such as Catherine Delaunay, Pierre Fruchard and Lê Quan Ninh, composers and musicians, David Subal and Johann Maheut, choreographers, visual artists, Anne Journo, choreographic artist, Sylvie Garot and Jean Gabriel Valot, lighting designers, Mylène Lauzon, poet. Clara Cornil’s work meets the public during the performances of the choreographic pieces: Là ( 2004), Bruisse (2005) Concert chorégraphique, Haïkus (2006), Portraits Intérieurs, Pose #1 (2007), (H)AND(S) (2009), Dans les bois (2010), Home (2011), Mobil’home (2012), Noli me tangere (2013), A Piece of Land (2014), Yuj (2015) pieces created in situ or for theatre spaces. Other spaces to produce or exchange before or during the creative process, are the thread that links the work together from workshops, to laboratories to transmission processes. 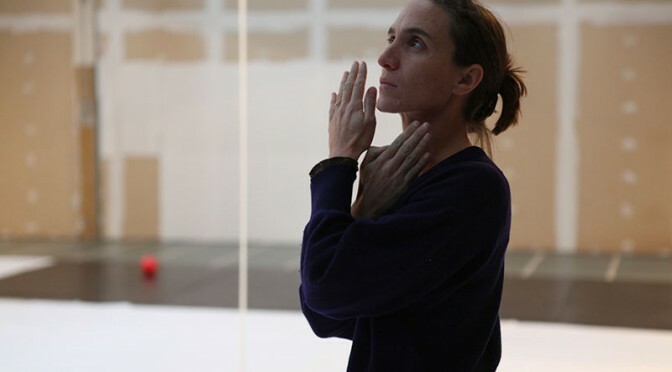 Having graduated with a State diploma in contemporary dance as well as a diploma from the French Institute of Yoga, Clara Cornil pursues her research through training that links meditation and active cellular corporal understanding. Having developed her artistic approach and personal capacities she is able to guide individuals and groups to discover their own inner creativity.